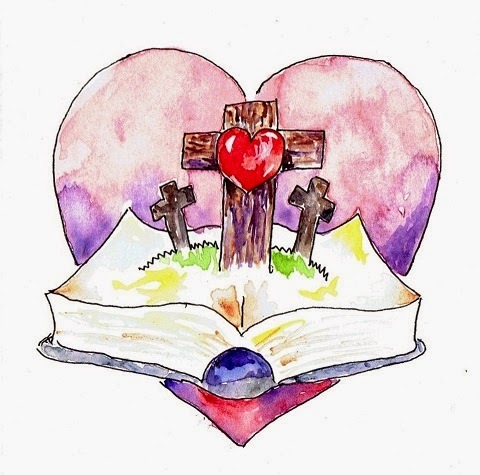 In your hard times may these short meditations from God's Word, the Bible, encourage, comfort, inspire and give you hope. Sin is a subject no one likes and opinions vary greatly. We all have something different to say about sin but what God says may surprise us. That God says "My people..." and then goes on to tell of their waywardness. We are intended by our Creator for His pleasure, glory, and to be His treasured possession. God longs to lavish His love and blessing on us and it is the crowning of blessing to be called "My people..."
We have forsaken God. To forsake is to leave behind with deliberation. We have left God out of our thoughts, lives, and plans. In the Bible, God refers to himself as the spring of living water, not just water that is necessary for life but, "The spring of living water." This spring is in the singular tense, for there are not many springs of living water only one. There is only one God and He is the source of life, salvation, and blessing. Water is essential for life but this water is more than that- it is the "Living water." Not just sustaining life but being life itself. This is a beautiful picture of God. We have dug our own cisterns. A cistern is a well. Instead of drinking from a natural spring we have chosen to scrape through the dirt to find dubious water. We have built our own philosophies and religions that reject the true God. Some of our cisterns are romance, wealth, the American dream, a dreamy world of our own values, the good life, or the next high. Everybody has experienced the thrill of getting a new toy, job, or relationship; only to find the excitement soon diminishes and we feel empty, looking for the next source of satisfaction. Those are the broken cisterns. They are the broken promises of a life that are from drinking out of the wrong well and not the spring of living water. These two sins are two sides of the same coin they amount to rejecting God in favor of our own designs. Jesus said, "If you knew the gift of God and who it is that asks you for a drink, you would have asked him and he would have given you living water." (John 4:10). Jesus is the water of life, to find him is to find life, to serve him is to serve life; everything else doesn't hold water. 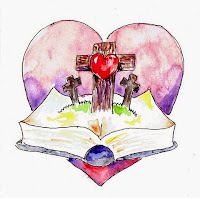 To learn more about Jesus see my other blog just follow this link: click here. Thank you for visiting and reading my blog. I sincerely hope this post is helpful and an encouragement. For more like this see the most popular post in the left sidebar, or use the search box above. Use the share buttons below to save and share this to your social networks. 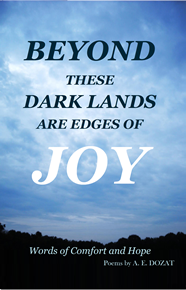 Beyond These Dark Lands Are Edges Of Joy, Words of Comfort and Hope. Use the Buy Now button for quick check out, 1 book with basic shipping. When God Never Forgets You. Isaiah 49:15 NIV.